Yoshi got his two shots of vaccine last Saturday. One for HiB and another one for Flu. my sister rovs can't stand to look while his pedia slowly inserted the syringe each one to his thigh. My sister said that was the first time he saw Yoshi cried like that! It's like giving all of his strength when he cried because it was painful for a baby to received a shot like that. I told her been used to seeing Yoshi cried like that everytime he got his vaccines. But to be honest, i can't stand to look on Yoshi's face while he was being shot by a needle. Even me, I'm still afraid of a needle even though been used to got it while giving birth to yoshi through C-section. 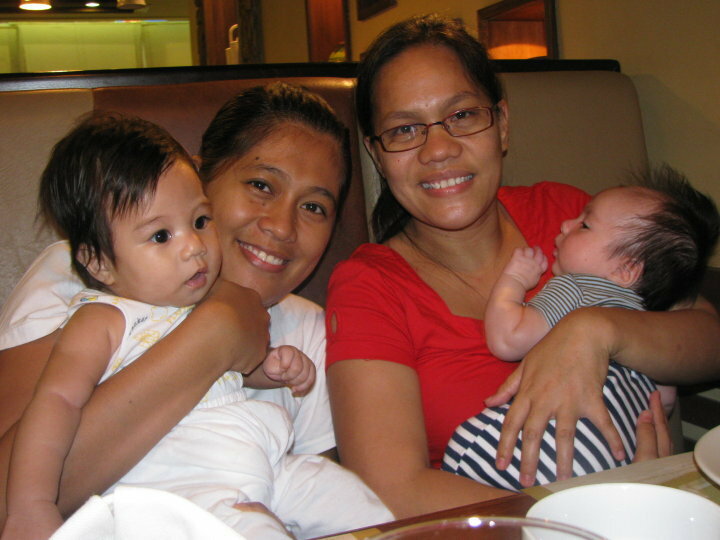 After that, together with Ate Claire and his baby, Kaegan went to SM and have them photographed by Lito Sy. It's like nothing happened to Yoshi because he's back on his feet being a happy baby and a vigorous one. Thank you Lord! 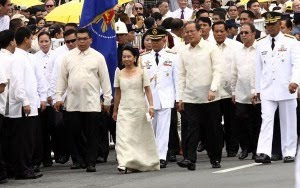 Noynoy's inauguration was a very successful one. Through the Quirino Grandstand entrance by the historic Manila Hotel, guests got out of their luxurious vehicles, most with security escorts, and walked towards the barricaded VIP seating area. From celebrities to the richest of the rich, and the ones that fall somewhere in between, they came to witness history unfold. Most women wore beautiful floor-length Filipinana dresses and did their best not to melt amid the sweltering heat. Almost all of the men wore barong Tagalog, though there were some who came wearing only a bahag or loincloth, which is the traditional garment up north. Despite that, you could feel everyone’s thrill. When the presidential vehicle arrived, cameras of all kinds and megapixels documented every bit of it. 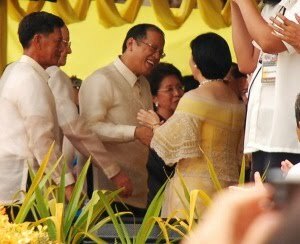 PNoy arrived with PGMA, then the former president left in her own private vehicle, taking nine years of governance along with her. Vice President Jejomar Binay’s electric jeepney was a scene stealer. He was driven from the Manila Hotel to the stands which took all of two minutes, but he stayed put in the front seat as he waited for his turn to go up the stage. 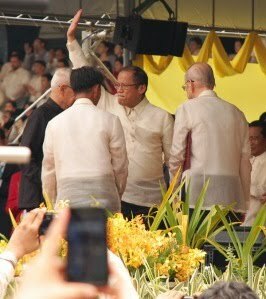 When it was President Noy’s turn, the crowd was absolutely ecstatic as a fresh new chapter was being written. When two helicopters flew by and dropped yellow petals, it was as if we were showered with optimism. President Aquino’s speech captivated the nation and made everyone feel encouraged with the dawn of a new era, a period where change will be implemented and not merely wanted. It was a speech that was honest and moving. Answer: Many understand the term repentance to mean “turning from sin.” This is not the biblical definition of repentance. In the Bible, the word repent means “to change one’s mind.” The Bible also tells us that true repentance will result in a change of actions (Luke 3:8-14; Acts 3:19). Acts 26:20 declares, “I preached that they should repent and turn to God and prove their repentance by their deeds.” The full biblical definition of repentance is a change of mind that results in a change of action. What, then, is the connection between repentance and salvation? The Book of Acts seems to especially focus on repentance in regards to salvation (Acts 2:38; 3:19; 11:18; 17:30; 20:21; 26:20). To repent, in relation to salvation, is to change your mind in regard to Jesus Christ. In Peter’s sermon on the day of Pentecost (Acts chapter 2), he concludes with a call for the people to repent (Acts 2:38). Repent from what? Peter is calling the people who rejected Jesus (Acts 2:36) to change their minds about Him, to recognize that He is indeed “Lord and Christ” (Acts 2:36). Peter is calling the people to change their minds from rejection of Christ as the Messiah to faith in Him as both Messiah and Savior. Repentance and faith can be understood as “two sides of the same coin.” It is impossible to place your faith in Jesus Christ as the Savior without first changing your mind about who He is and what He has done. Whether it is repentance from willful rejection or repentance from ignorance or disinterest, it is a change of mind. Biblical repentance, in relation to salvation, is changing your mind from rejection of Christ to faith in Christ. It is crucially important that we understand repentance is not a work we do to earn salvation. No one can repent and come to God unless God pulls that person to Himself (John 6:44). Acts 5:31 and 11:18 indicate that repentance is something God gives—it is only possible because of His grace. No one can repent unless God grants repentance. All of salvation, including repentance and faith, is a result of God drawing us, opening our eyes, and changing our hearts. God's longsuffering leads us to repentance (2 Peter 3:9), as does His kindness (Romans 2:4). Recommended Resource: So Great Salvation by Charles Ryrie. Girl's night out. Babies too! We went to SM the other day, me, my sister, ate janeth , and ate claire. we called that a Girls night out but of course the babies were there so it's also a Babies night out! We dine at Pizza hut, went to baby section and brought some stuff for the babies. We did not notice that the lights from Dept. store were slowly fading. It's already Closing Time and ate claire was not yet finished buying things for Kaegan! We really have fun for that fellowship. Thank you Lord! What does the Bible teach about Trinity? 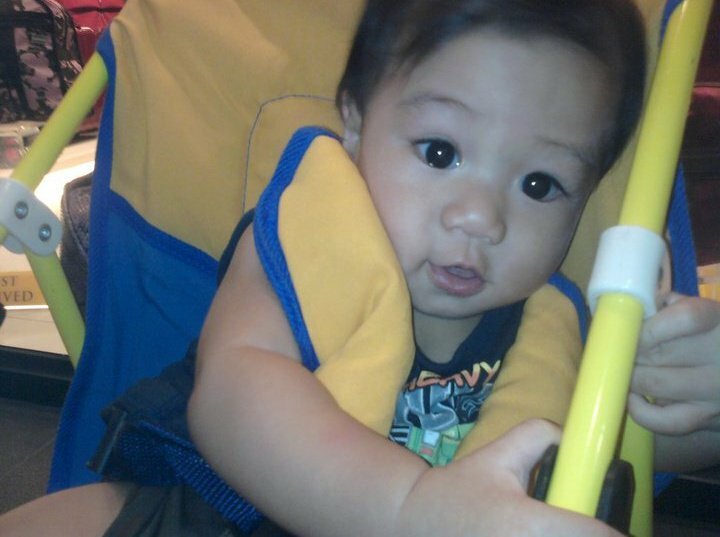 It was 3PM when I received a call from my sister in our office telling me that my son Yoshi has a fever. I told her to give him paracetamol Calpol. I wanted to go home immediately to be with my baby. If only i could pull the time so that it would reach to 5PM by then, i could make my way home. The fever left him but at 3AM, it came back. My husband and i gave him paracetamol. We haven't slept until morning. I just held Yoshi in my arms until the sun rose up. Cycy and i prayed for Yoshi's healing. In the morning, i brought him to his Pedia, he was diagnose with enteritis but Thanks be to God it's just a mild one. He got treated and after the check-up we went home. My heart is aching seeing my baby sick. Thanks be to God for his angels guarding Yoshi day and night. It's dangerous to be like somebody else... If God wanted you to be like somebody else, He would have given you what He gave them! Right? I'm thinking what should i give to my husband since Father's Day is being celebrated this month of June. I thank the Lord for my husband, being so kind and affectionate, giving all the love in the world to me and to our beloved son Yoshi. To my loving husband. i love you so much. Continue to be the best Father for Yoshi and a loving husband to me. Every good and perfect gift comes from God, and you are a gift. I love you!! Question: "Why pray? What is the point of prayer when God knows the future and is already in control of everything. If we cannot change God's mind, why should we pray?" We come to God with our specific requests, and we have God's promise that our prayers are not in vain, even if we do not receive specifically what we asked for (Matthew 6:6; Romans 8:26-27). He has promised that when we ask for things that are in accordance with His will, He will give us what we ask for (1 John 5:14-15). Sometimes He delays His answers according to His wisdom and for our benefit. In these situations, we are to be diligent and persistent in prayer (Matthew 7:7; Luke 18:1-8). Prayer should not be seen as our means of getting God to do our will on earth, but rather as a means of getting God's will done on earth. God’s wisdom far exceeds our own. For situations in which we do not know God's will specifically, prayer is a means of discerning His will. If the Syrian woman with the demon-influenced daughter had not prayed to Christ, her daughter would not have been made whole (Mark 7:26-30). If the blind man outside Jericho had not called out to Christ, he would have remained blind (Luke 18:35-43). God has said that we often go without because we do not ask (James 4:2). In one sense, prayer is like sharing the gospel with people. We do not know who will respond to the message of the gospel until we share it. In the same way, we will never see the results of answered prayer unless we pray. A lack of prayer demonstrates a lack of faith and a lack of trust in God’s Word. We pray to demonstrate our faith in God, that He will do as He has promised in His Word and bless our lives abundantly more than we could ask or hope for (Ephesians 3:20). Prayer is our primary means of seeing God work in others' lives. Because it is our means of “plugging into” God's power, it is our means of defeating Satan and his army that we are powerless to overcome by ourselves. Therefore, may God find us often before His throne, for we have a high priest in heaven who can identify with all that we go through (Hebrews 4:15-16). We have His promise that the fervent prayer of a righteous man accomplishes much (James 5:16-18). May God glorify His name in our lives as we believe in Him enough to come to Him often in prayer. Tomorrow is first day of school, students and employees will be busy preparing for tomorrow's activity. busy streets, busy day.. i need to get up as early as 5AM to prepare for everything. first things first, need to do my devotional, then need to prepare Yoshi's milk, and then my lunchbox and cycy too. thank you Lord for the strength. Cycy and i along with our son and jing-jing my first cousin went to church since today is Sunday. We were so blessed by the Pastor's preaching and i want to share it with you. It's all about our top five priorities in life. It is top five because it is the five most important priorities that we need to pursue in life. And this five is in order of importance. Meaning if it is number one then it is number one. If it is number two then it is number two, and so on and so forth..
Our first priority is God. Our highest calling is to have a love relationship with God (Mark 12:30). We are designed to walk and relate with our Creator. He is our Father and we are His children. He is seeking intimacy with us. We need to spend quality time with Him every morning through prayer and the Word of God before we go on our daily activities. And throughout the day we need to communicate constantly in prayer. Our second priority is self. Why self and not others? It sounds so selfish. Look, you cannot take care of others if you have not taking care of yourself first. Jesus said in Matthew 10:8, "Freely you have received, freely give".You cannot give if you have not received first. You cannot love others unless you love yourself first (Mark 12:31). You need to take good care of yourself first so that you will be healthy and strong to help others. Our third priority in life is our family. Before work, ministry and other people, our family comes first. Married couples need to prioritize each others. Parents need to spend quality time with their children. Children need to honor and love thier parents. By the grace of God we can build the best family in the world. Our fourth priority is our ministry. winning souls and making disciples is our mainline not sideline. Our fifth priority is our work. Whether we are students, employees, self-employed or businessmen, we need to excel in what we are doing. As sons and daughters of God, we need to succeed and rise to the top of our fields. We cannot neglect work or studies in the name of family or ministry. We need to practice time management and balance our schedules. That's the preaching from our Pastor led by the Holy Spirit to share. i hope you learn something from this. I'm working in a pre-school and it is on it's second year of operation. It is an expensive school because of the method of teaching which is Montessori, and is an authentic Montessori school.only few students are enrolled because of the expensive tuition fee but it's worth for your child's education. I am the executive assistant of the school director, as an E.A., i do all the work in the office. i'm the secretary/registrar/accounting staff/assistant but i enjoy all those kinds of work because i believe i can learn a lot from it. the work doesn't matter but the attitude is. Time is really fast, i did not notice that Yoshi is already 6 months now.. i still remember the day he was born.we were so excited! 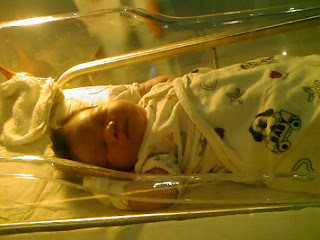 Today May 24, 2010 is my baby's dedication. He is exactly 6 months and when somebody 's asking me what is the name of my son , i said "yoshi", a lot would say, "is his father Japanese? ", i would answer no, it's just that my husband is an ANIME addict, i would say.. I'm working today but i asked permission to my boss if i can take a half day in my work cause i need to check the preparations for Yoshi's Dedication. It's a simple ceremony with close family and relatives and a few neighbors from our street but a memorable one for all of us. Since Yoshi came into our lives, it's easy for us family to gather and spend time together because of this bundle of joy who always puts all of us in a smile even how tired we are from work.. It's a gift and a blessing to have a baby in the family.